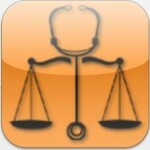 MedEdEthics App* is an application based on the Virtual Patient (VP) concept. 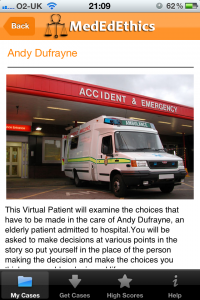 The purpose is to deliver a suite of interactive Ethics VP cases derived from a collection of cases created at St George’s and covering a variety of ethical, legal and professional issues and scenarios. 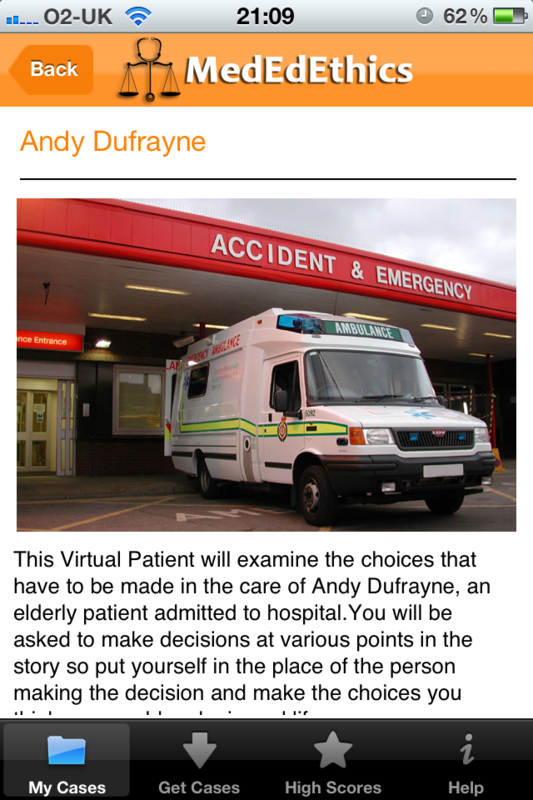 The App consists of a combination of text and video based ethics virtual patients that have been authored by ethics experts at St George’s and allow students to play real-life patient cases and make decisions like they would consult in a real-time scenario. The App has been designed, developed and created by the e-Learning Unit and Intelligent Business Optimisation System Solutions (iBOS Solutions). The Medical Ethics and Law team at St George’s consists of Professor Deborah Bowman, Dr. Carwyn Hooper and Dr. Rehana Iqbal. All three are heavily involved in delivering high quality ethics and law education to medical and healthcare students and Dr Carwyn Hooper has lead on the development of e-Learning resources. iBOS Solutions is an IT solutions company who have vast experience in the delivery of online and mobile applications within the medical arena. iBOS Solutions have medical professionals within their workforce; this enables them to understand the needs of a scientific or medical institution such as SGUL and accurately translate their needs from concept to a functional IT solution, avoiding a ‘lost in translation’ situation. *MedEdEthics is a product of St George’s, University of London. St George’s will release updates to this app periodically. It is your responsibility to ensure you are using the most up to date version of this application; failure to update the app or its case content may result in the content of the app becoming out of date. All rights are reserved, and copyright is with St George’s, University of London.